This is the third installment in our series of real estate search engine optimization (SEO) articles, and I promised last time to tell you about localized and mobile search. There’s one powerful trick you can use to help you better compete with the big websites. Want to beat out the search results from the big sites like Zillow, realtor.com and others with national coverage? Then think in terms about what people might say — rather than type — into a search engine box. But Google’s continuing improvement of conversational search and consumers’ increasing use of mobile devices open up a whole new world of search functionality. 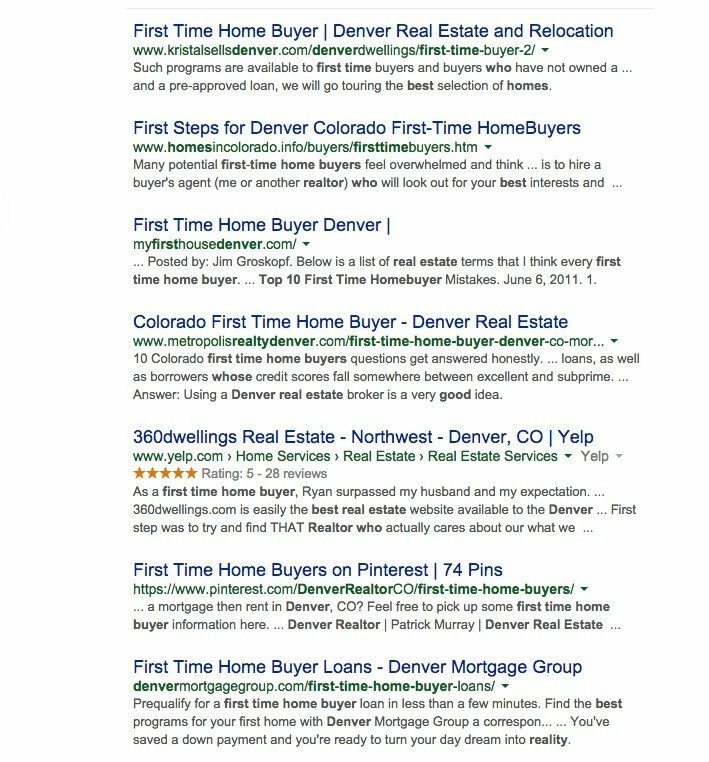 The top three results are local real estate agent sites — and one made the first position! Give it a try yourself, and you’ll see what I mean. How many consumers are actually using Google and other search engines this way? Well, a recent article at SearchEngineWatch.com tells us that 4 out of 5 consumers conduct Web searches on mobile devices, around 88 percent on mobile phones and 84 percent on tablet computers. So “conversational search” changes the game and levels the playing field a bit. Don’t get me wrong: Keywords and key phrases are still valuable. But they’re more about typing than talking. Spoken search, however, is allowing much more information for Google to use when finding the best sites because consumers use more words in conversational search than in typed search. As always, SEO comes back to content — lots of it — and it should be content that answers questions. Make your content conversational and less keyword-focused, and you should begin to see positive results.